Feel your hair and scalp being tingled and teased back into life with the intelligent solution and the invigorating sensation of IQ Tea Tree Conditioner. This zingy conditioner uses the purifying power of nature to refresh and revive your hair and scalp. Natural antiseptic tea tree essentials oils, combine with refreshing peppermint oil, while the nourishing power of Amaranth strengthens for a triple boost for the health of the hair. Amazing Amaranth:- The whole intelligent haircare (IH) product range has been enhanced with a blend of oils, proteins and extracts from the Amaranth plant. The plant itself is known as ‘the never fading flower’ and has been celebrated as far back as the Ancient Greeks for its range of healing properties. 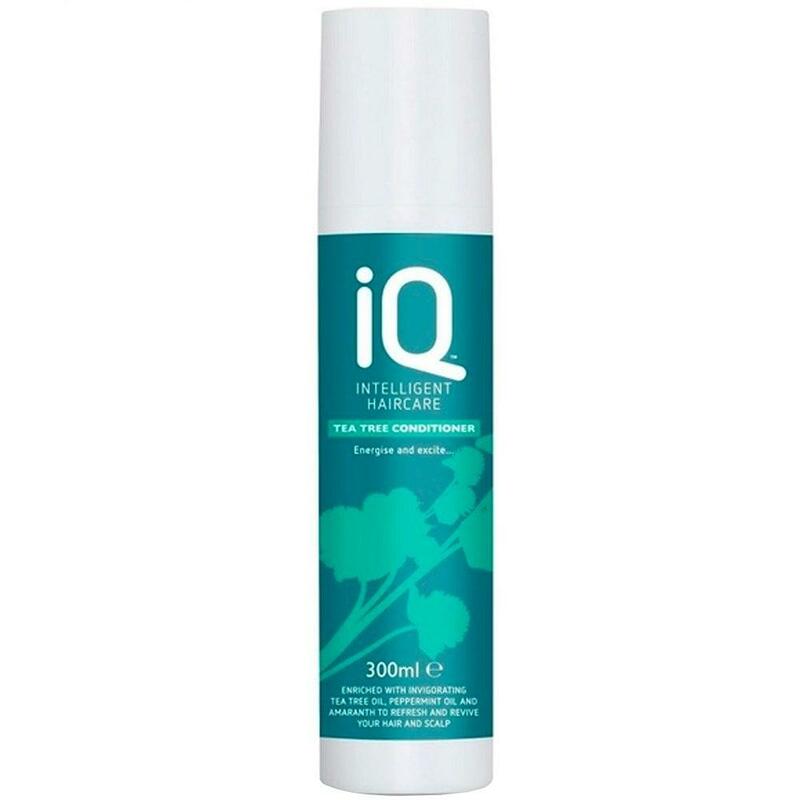 Gentle yet refreshing, IQ Tea Tree Conditioner is sulphate and paraben free and hair colour safe. It contains surfactants that bind to the hair and coat the cuticle to create smooth, manageable hair. A refreshing feeling with gorgeous natural scent that is perfect for a daily conditioner and to keep your hair and scalp in optimum condition for growing strong healthy hair. Directions :- Leave hair invigorated and full of vitality with IQ Tea Tree Conditioner. After shampooing apply to hair, concentrating on mid lengths to ends then rinse thoroughly.